In some cases, Master Boot Record (MBR) of the encrypted drive may contain errors, which can make it impossible to load the system from this drive. To restore the MBR of the encrypted drive, you must connect it to the workstation or the virtual machine which meets the requirements listed below. 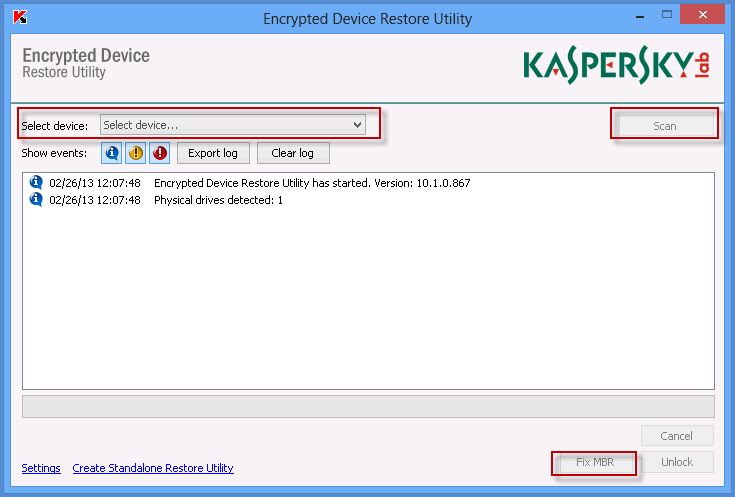 Then, use the Encrypted Device Restore Utility for fixing the MBR on the drive. 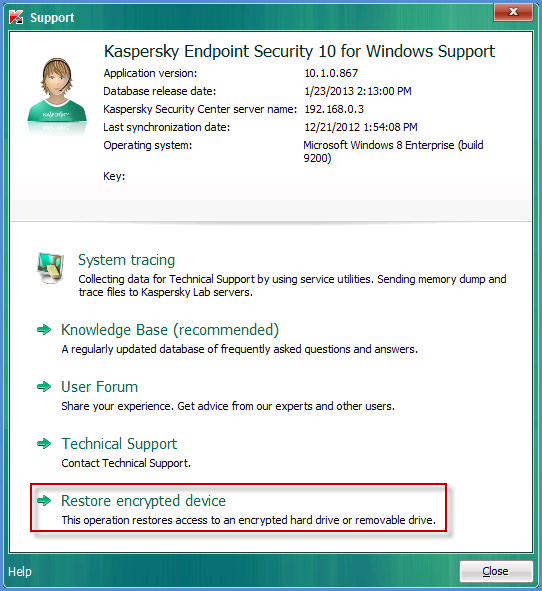 Kaspersky Endpoint Security 10 for Windows with encryption components is installed. The workstation is connected to the Administration Server via the policy which was used for encrypting the drive. Data transfer is established between the Network Agent and the Administration Server. Disconnect the encrypted drive from the workstation. Connect it to the computer which meets the requirements above. 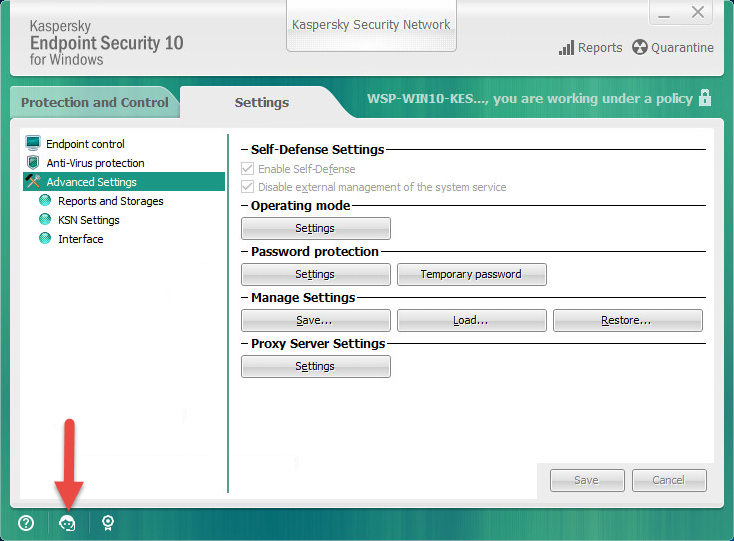 in the main window of Kaspersky Endpoint Security 10 for Windows, click the Support icon. Click Scan and wait for the process to complete. Upon completion, disconnect and then connect again the hard drive. In the VMWare console, connect the drive to the virtual machine which meets the requirements above. On the virtual machine, perform the same actions as when restoring MBR on a physical drive. Disconnect the hard drive from the virtual machine.